You could also join Great Escapes Kayaking on the lively saltwater creeks leading to Waites Island, one of the last remaining undeveloped barrier islands along the South Carolina coast. 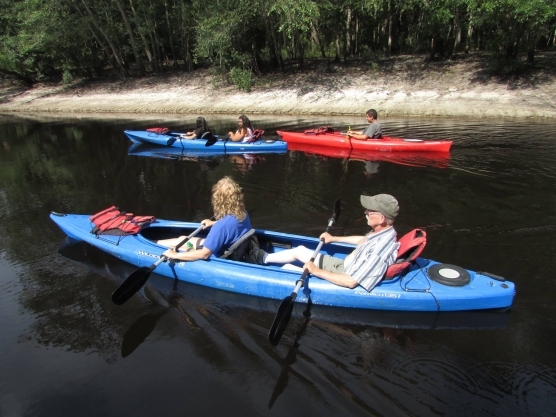 The experienced (50+ years combined) kayaking tour guides offer you a glimpse into the natural world through the history of the Native Americans and early settlers who lived amongst the swamps and barrier islands of the South Carolina coast. Whether you have been kayaking before or this is your fist time, you will experience an amazing adventure.